Are you being harassed or ridiculed at work because of your religion? Do you need a workplace accommodation as a result of your religious beliefs and your employer refuses to provide one or even talk to you about other accommodations? If any of these situations apply to you, you may have rights under the New Jersey Law Against Discrimination. The New Jersey Law Against Discrimination (N.J.S.A 10:5-12) is a comprehensive New Jersey state law that prohibits employers from discriminating against employees on the basis of different protected characteristics, including religion. The New Jersey Law Against Discrimination makes it unlawful for an employee to be treated differently because of their religious beliefs. You cannot be treated any differently than another employee who does not maintain the same religion or religious beliefs. Employers must provide its employees with religious accommodations, so long as they are reasonable. Religious accommodations can include such things such things as days off, changes in work schedules to accommodate religious holidays and modifying dress codes or uniforms to meet religious beliefs. An employer may find a requested religious accommodation to be unreasonable if it constitutes an undue hardship on the employer’s business operations. Under such circumstances, the request does not have to be accommodated. However, prior to an employer deeming a requested religious accommodation to be an undue hardship, the employer and employee must engage in an interactive process, which includes an open dialogue concerning what accommodation or accommodations can be made for the employee’s religious beliefs. This dialogue must be made in good faith by both the employer and employee in an effort to reach a compromise that works for both the employee and the employer. It is illegal under the New Jersey Law Against Discrimination for an employer to take retaliatory actions against an employee for exercising their rights under the LAD. Complaints of religious discrimination must be investigated promptly, thoroughly and completely. 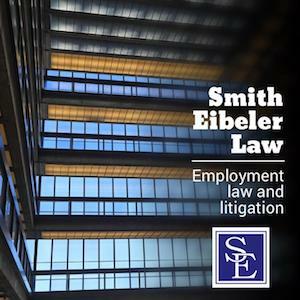 An employee cannot be subjected to adverse employment action by an employer for opposing any practice that is prohibited under the New Jersey Law Against Discrimination. There are many retaliatory adverse employment actions beyond termination that include but are not limited to dock in pay, suspension, disciplinary warnings and other actions that would make an employee think twice about ever complaining about religious discrimination in the workplace and can constitute retaliatory adverse employment action. It is also may be unlawful under the New Jersey Law Against Discrimination for an employer to ask about your religious beliefs or practices or religious organization affiliations. It is also unlawful to be harassed in the workplace on the basis of your religion, or to be subjected to religious slurs if the conduct is severe or pervasive enough to constitute a hostile work environment. If you believe that you have been discriminated against as a result of your religious beliefs, our New Jersey employment lawyers are here to evaluate your potential legal claims. If you would like to speak to our New Jersey employment lawyers about the specific facts and circumstances of your workplace issue, please contact us at our Monmouth County law offices located at Bell Works in Holmdel, New Jersey.